Java program to print transpose of a matrix using for loop. In this java program, we have to find the transpose matrix of a given M x N matrix. To find the transpose of a matrix, we will swap a row with corresponding columns, like first row will become first column of transpose matrix and vice versa. 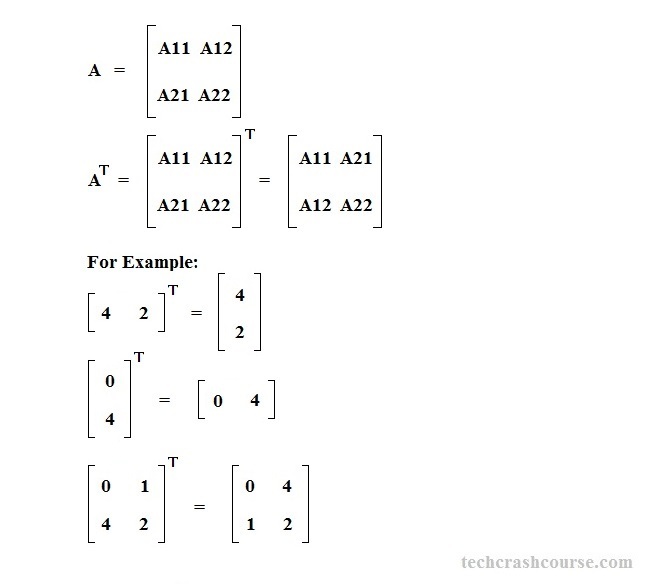 The transpose of matrix A is written AT. The ith row, jth column element of matrix A is the jth row, ith column element of AT.